Luella Sather (Leggott), our loving mother passed away quietly at home in the early hours of January 22, 2019 with Don by her side. Her family will have deep and fond memories of her. Lue and Don raised four children, Donnalu (Richard), Denean (Sherdan), Robert and Ryan (Susanna) and have 10 grandchildren; Taylor, Paige, Junior, Jade, Skye, Ashley, Dexander, Ronan, Maxime and Liam. Luella was the first to pass of five children born to Harold and Grace Leggott of Lanigan SK. Luella grew up on a farm near Lanigan. She moved to Saskatoon and graduated from Business College. Luella was a stay at home Mom, she kept VERY busy as she chauffeured the kids to their many activities while managing the household. Donald and Luella were married for 52 years. In her spare time, she enjoyed knitting, crocheting, sewing, miniatures and singing in the church choir. She was a member of the Red Hat Society and the Bridge City Artists. Luella was a talented painter where everyone loved her wonderful hoarfrost paintings. Luella was known for her participation in two murals in SK, the Saskatchewan/Alberta “Buffalo Twins” mural located in Lloydminster SK and the designer and coordinator of the Saskatoon Centennial Mural. She will also be remembered for her volunteer work at the Sherbrook Nursing Home. Luella enjoyed laughing and making others smile! She will always be remembered for dressing up and or performing, sometimes unannounced at a birthday party or anniversary as “Your Fairy Godmother” or “Elvis”. She had a contagious laugh and a sense of humour that she wasn’t afraid to share. Special thank you to all who looked after mom and her care through the Nurses, Doctors, CPAS, Seniors First Program, Home Care and Palliative Care. Mom we will miss your unconditional love and unwavering support! Love you forever!.. your family! 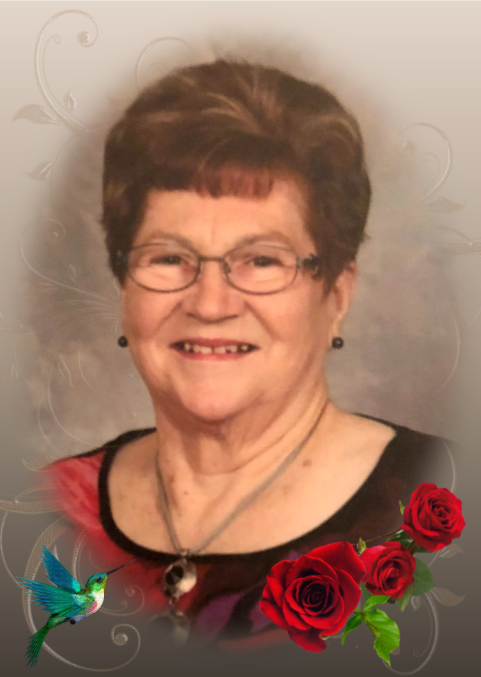 A Celebration of Life will be held at 1:30 p.m. on Saturday, June 15, 2019 at McClure United Church (4025 Taylor St. E.). Arrangements in care of Mourning Glory Funeral Services (306) 978-5200. There's still time to send flowers to the Celebration of Life at the See Obituary Text at 1:30 PM on June 15, 2019.